Did you know today is International Dog Biscuit Appreciation Day? It's even listed on our Casey Jones Bones calendar. Of course, the Lapdogs think every day should be about the appreciation of treats. In honor of IDBAD and the Bruins pulling out a win in Chicago yesterday, I thought I'd share these pics from last month. 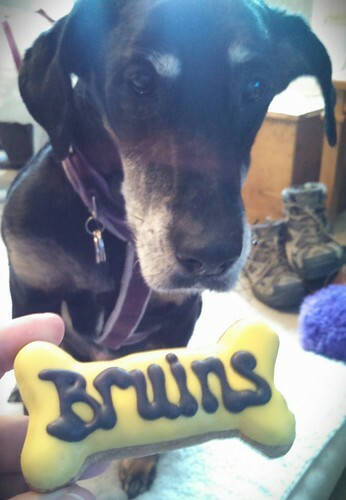 During one of Lola's adventures, we had stopped at a favorite doggie boutique for special treats and brought home these cool B's cookies to share. Lola, my sweet baby girl who I miss so very much. 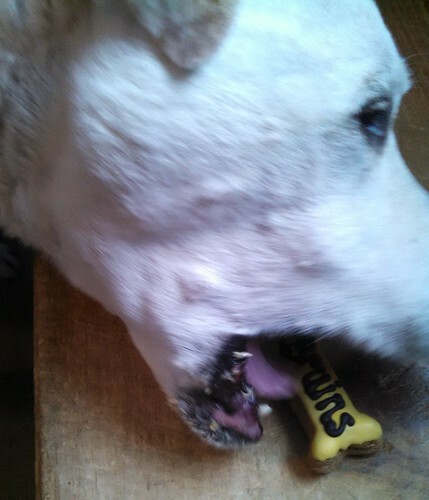 Happy Dog Biscuit Day! Those are some fancy treats you got there. 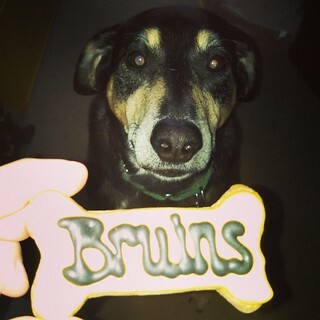 Even dogs love cookies, you know! Especially fancy ones like that. Love your special dog cookies ~ your girl Lola looks like a cutie-pie.. I love the home baked treats my Human bakes for me. 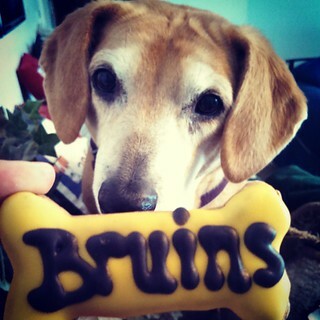 Happy Int'l Dog Biscuit Appreciation Day! We always love biscuits, not matter what day it is!